Roger Vivier's signature square buckle debuted in the '60s and has really stood the test of time. 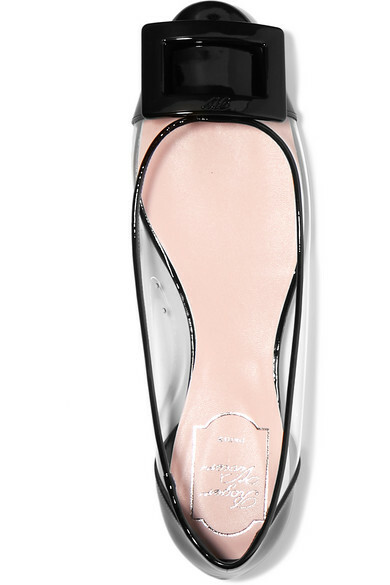 Topped with it at the toes, this version of the label's 'Gommette' flats has been expertly made in Italy from transparent PVC and black patent-leather. Wear them with cropped pants or a short suit. Shown here with: Petar Petrov Blazer, Alaïa Shorts, Goldsign Top, The Row Shoulder bag.